If you want to treat yourself to ten minutes of pure unadulterated joy, just pull up the Wayne Gretzky highlight wheel on Youtube. You really don’t have to know anything about hockey to appreciate the athletic majesty of the Great One. You can’t help but be amazed as you watch the grainy footage from the late 1980’s and early 1990’s at Gretzky’s ability to control the puck, outskate his competition and score seemingly at will. Wayne Gretzky, of course, is famous for saying, “ I skate to where the puck is going to be, not where it has been.” Which is probably one of the greatest sports quotes of all time but is also unbelievably relevant to the world of trading. I’ve been thinking about Gretzky a lot lately as I work on my scalp set up. Scalping is probably the hardest part of trading to master because it requires laser quick entry and exit techniques and a very high level of accuracy in order to overcome the massive commission costs that you rack up every day. But if you can master scalping you have true control because then you are able to make money in any type of market regime. As I delve deeper and deeper into short-term trading I realize that the key to succeeding in scalping is the same as in hockey. You need to go where the puck will be. You need to anticipate price and position yourself accordingly. That’s of course much harder than it looks. Longer term traders can afford to be wrong for long stretches of time as their wide stops allow for massive market slippage before price finally turns their way. Scalpers don’t have that luxury. They are either right or stopped out, So they have to decide quickly if the trade is worth the risk. If you anticipate something, you will inevitably be wrong. Professional tennis players are a perfect example of this dynamic in play. Watch any Grand Slam tournament and you will see the best players in the world get wrong footed countless times during the match. They run one way, while the ball goes the other. You never see pro tennis players stop anticipating. Being wrong-footed, once, twice, ten times never stop any of these athletes from anticipating the next ball. That’s because there is no other way to achieve success. If you want to win you need to go where the puck, the ball, the pip will be. Not where it is now.Sometimes you will look like an idiot, but you just get right back up and try again. Because the key to sports and to trading is to get better at your reflexes -- not to stop playing when you lose. The Great One had one last quote that helps sustain me as I refine my setup. Gretzky said, “You miss 100% of the shot you do not take.” So even if you are doing badly, even if you miss your targets, keep shooting. The process of trading itself will make you better, will make you sharper and will hone your skills. The more you play, the better you see the rink -- the field of play. Just like the more you trade the more you see the market. My scalping hasn’t turned consistently positive yet, but my long term trading has improved tremendously as my “field of vision”, my feel for the market is much, much better. For this, as well as for sheer joy of watching some of the greatest feats of athleticism in history, I have the Great One to thank. This week Business Insider had a great profile of a professional poker player called Andrew Seidman. He has been playing the game since 2006 and has had massive success as well as some setback since then -- but perhaps what makes his story so compelling is that he is basically a regular self-taught guy rather than some Mensa math genius. I am taking the liberty of snipping parts of the interview (.. so apologies if some of the quotes appear as though you’ve entered the room mid-sentence) and affixing my own comments to his observations. Divide the “20-40 times buyin” line and you quickly come up with 5% of 2.5% bet size. This very close to what professional traders use to size their own trades. In fact I would argue that in FX you would want to be even more conservative and use 1%-2% risk limit per trade. Why? Well as Seideman explains by chopping up your bet size to small chunks you stand a better chance of avoiding risk of ruin -- a situation where the market, or the cards simply produce a very long string of negative outcomes. What’s absolutely key about understanding this passage is that Seidman not only focuses on the basic probabilities, but on the likely reaction of the opponent. That’s why just knowing the news in FX is never enough. You have to understand if the market is ready to accept the news ( its in a momentum mode ) or reject the news (it in a mean reversion mode). Profiling the state of the market is just as important as acting on the immediate newsflow. “Good poker players go through all of that process and are really mentally engaged trying to determine those things. Weaker players really don’t do any of that and make purely emotional decisions (conservative players never really bluff, crazy gamblers basically always bluff, etc.)”. Let’s face it, trading can can be a miserable lonely existence. You spend your days in the glow of flickering monitors with only CNBC to keep you company. Your triumphs and failures are largely taken in silence and the solitude will often drive you to make horrible impulsive trades out of either anger or boredom. 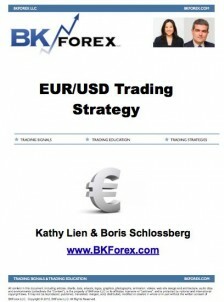 Last week when Kathy was in Sydney, I gave a live webinar on the advantages of group trading. I used such models as Alcoholics Anonymous and Weight Watchers to show how groups can positively affect behaviour and instill proper habits through accountability and support. At BK we put our money where our mouth is and at the start of this year we decided to conduct daily webinars for our subs to see if this thesis really holds up to reality. I’ve been doing them for almost three months now and while the group dynamic is undeniably beneficial on an emotional level what surprised me the most was the fount of intellectual creativity that it has spawned. When it comes to trading two heads are truly better than one. Regardless of how smart, how experienced, how profitable you are -- you ideas can always be improved by the scrutiny of the crowd. On my Twitter feed you may occasionally see some bursts of excitement from my followers as one or another of our trading setups banks some pips. All of these strategies arouse out of us just BSing around, looking at some key market behaviors and constantly challenging each other with better and better refinements. As a result we are now building a very impressive portfolio of short term trading algorithms that many of us trade live and that may eventually become a permanent part of the BK signal service. Much as I would like you to join us at BK- the more important I am trying to make is that if you are a trader -- DON’T BE ALONE. Find a group, share your ideas and enjoy the mind meld. Don’t worry about disclosing your “proprietary” edge. Trust me there is nothing that you have thought of that has not been done by someone else already. You won’t lose out, most likely you will improve your execution and refine your techniques even more. Great trading comes from great ideas and great ideas are always a collaborative process. 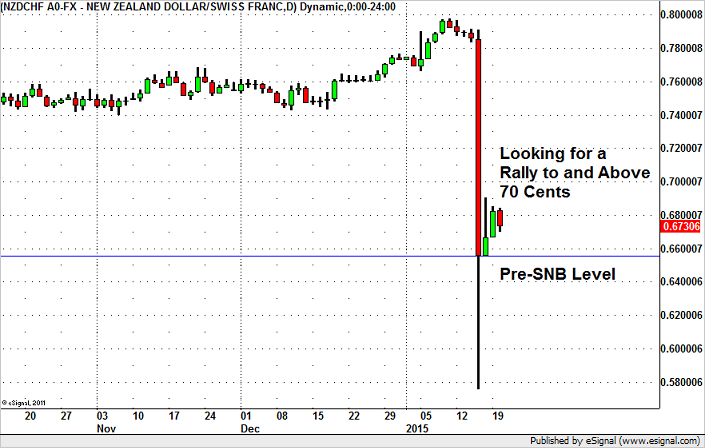 Like to trade the EUR/USD? So do we! At BKForex, a large part of our trading is short term and the EUR/USD is one our favorite currency pairs to trade. The EUR/USD is the world’s most actively traded currency pair and for many forex traders, this activity provides opportunity.